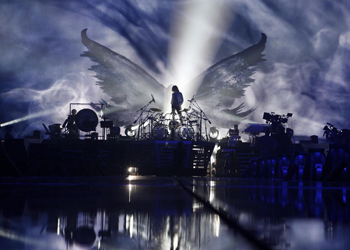 On Friday, March 18 at 7:30pm following the ‘WE ARE X’ screening at the Paramount Theatre, YOSHIKI--songwriter, drummer, classically-trained pianist and the creative force of X JAPAN will perform classical versions of X JAPAN’s songs with a string quartet live on stage. THESE ARE ADVANCE TICKETS FOR THE YOSHIKI PERFORMANCE ONLY. A limited number of tickets good for both the 5:30pm screening of ‘WE ARE X’ and YOSHIKI’s performance will be available at the venue, day of show. Badge holders will be able to stay to watch both the film and performance.